“The Boiling Point,” 1912, caricature from the political satire magazine Punch. Left: World War I-era poster created by artist James Montgomery in 1917 for the Mayor’s Committee, New York Right: Poster (1916), artist: Winold Reiss. Charity Bazar for the widows and orphans of german, Austrian, Hungarian and their allied soldiers. (Library of Congress, Prints and Photographs Division, Washington, D.C. 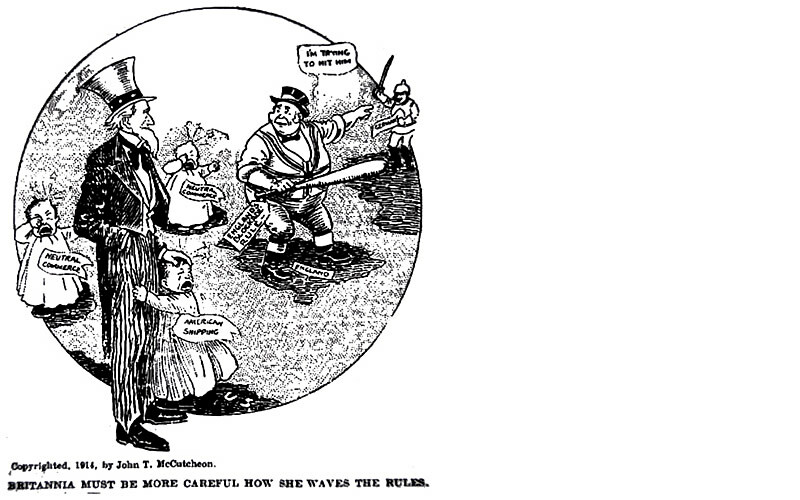 In the years leading up to WWI, the U.S. pursued policies to avoid conflict while trying to broker peace. Despite those efforts, President Woodrow Wilson, citing Germany’s violation of its pledge to suspend unrestricted submarine warfare, went before a Special Session of Congress to deliver his “War Message” and request a declaration of war against Germany on April 2, 1917. Four days later, Congress overwhelmingly passed the War Resolution. Austria-Hungary then severed diplomatic relations with the U.S. on April 8, 1917. Eight months later, on December 7, 1917, the U.S. declared war on Austria- Hungary. On January 8, 1918, Wilson presented his historic “Fourteen Points” to Congress, providing a framework for a post-war world order. The tenth point called for the “freest opportunity to autonomous development” of the peoples of Austria-Hungary which contributed to the consequent break-up of the Empire. Unlike its allies, the U.S. did not ratify the Treaty of St. Germain on September 10, 1919, because it included the Covenant of the League of Nations, a concept that the U.S. Congress would not support at the time. Instead, the United States signed the Treaty Establishing Friendly Relations and recognized the Republic of Austria on August 24, 1921. 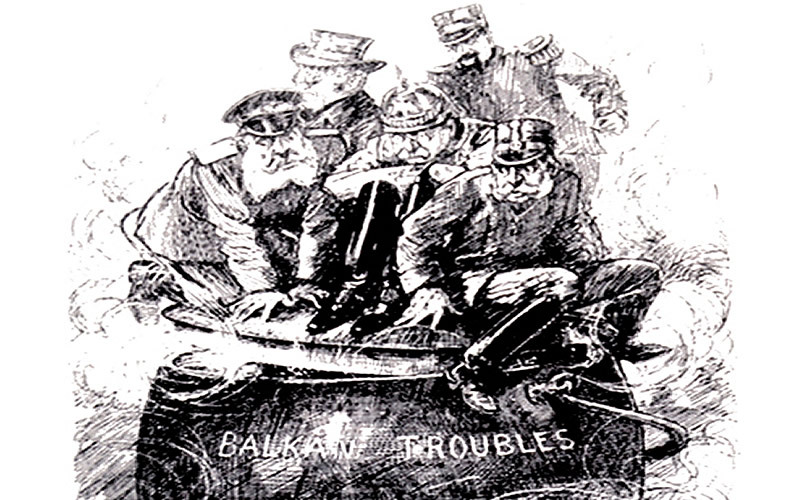 During the 1930s, the combination of the Great Depression and the memory of tragic losses in World War I influenced American policy toward non-entanglement in international politics. While the rise of fascism was perceived as a threat to international peace, the economic depression restrained American action. In March 1938 U.S. Chargé d’Affaires ad interim John C. Wiley reported from Vienna that “the visa section is in a state of siege.” Between the annexation of Austria by Nazi Germany in 1938 and the entry of the U.S. into the War in 1941, 29,000 Austrians emigrated to the U.S. Approximately 80 percent were Jews: professionals and intellectuals that included doctors, lawyers, architects, scientists, musicians and composers, and artists of film and stage. In the U.S. they found opportunities to continue making significant contributions to world culture that benefit society today. In 1940 U.S. policy shifted from neutrality to non-belligerency by providing aid to the nations at war with Germany, Italy and Japan. On December 7, 1941, the Japanese attacked the U.S. naval installation at Pearl Harbor, bringing the United States formally into WWII. While this meant that relations were again severed with Austria, the post-WWII years nonetheless provided political and economic opportunities that redefined the relationship between the U.S. and Austria. Despite of a few controversies and disagreements, such as the 1986 “Waldheim Affair,” the United States and Austria have built the foundation for a mutually shared commitment to humanitarian values and democratic institutions that influence contemporary society.